During the harvest months pumpkins make their way into soups, salad, pies, muffins, cookies and even scary decorations. Aside from being so versatile this seasonal food has many potent nutritional properties. Today 1.1 billion pounds of pumpkin s are grown every year in the United States. 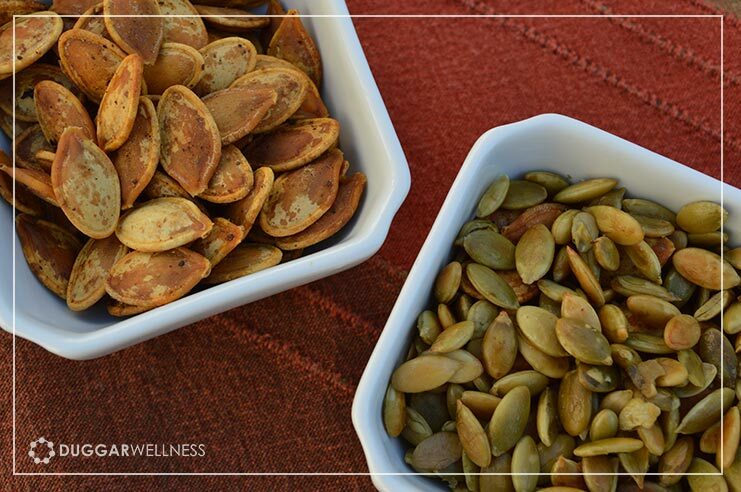 Pumpkin seeds can be eaten whole or the outer coating can be hulled. Pumpkins, like other winter squash varieties are loaded with nutrients. The potent nutrient power behind the pumpkin is in it’s color. All fruits and veggies with a vibrant orange hue contain beta-carotene. As research improves scientists are learning more and more about individual nutrients contained in whole, real foods. The pumpkin contains both alpha and beta–carotene. These are potent antioxidants, which convert to vitamin A inside the body. Vitamin A promotes healthy vision and ensures proper immune function, while alpha-carotene is thought to slow the aging process, prevent tumor growth, and reduce the risk of developing cataracts. 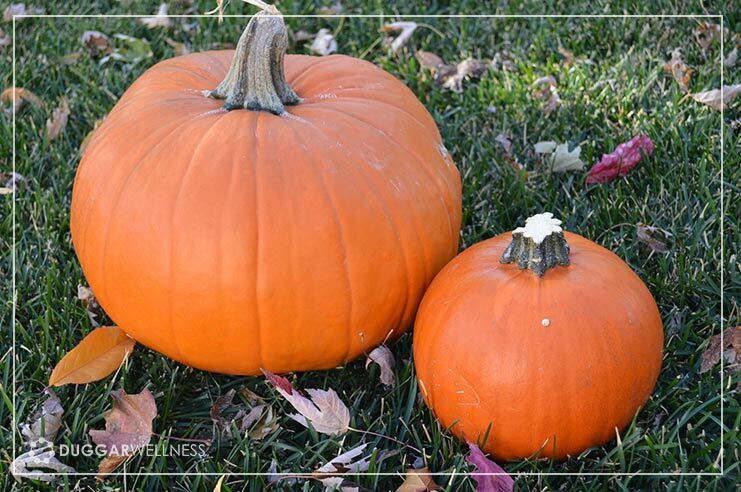 Try these recipes to add more of the potent nutritional power packed inside the pumpkin!